Merino Eclipse is a fabulously soft DK weight merino yarn that has been dyed in a gorgeous light to dark gradient palette. Each 200 gram skein of Merino Eclipse is an incredible 550 yards of ombre squishiness 1 will do a small-medium accessory and 2 is enough for a large shawll or small sweater! It is constructed of six 2-ply strands that are loosely twisted for maximum drape. It has amazing stitch definition and will work well both for projects with complex stitch patterns, or something simpler to really let the colors shine! Sirdar Snuggly Snuggly DK Yarn is a similar yarn: machine wash, dk (21-24 sts/4 in), and 5.5 sts / inch. 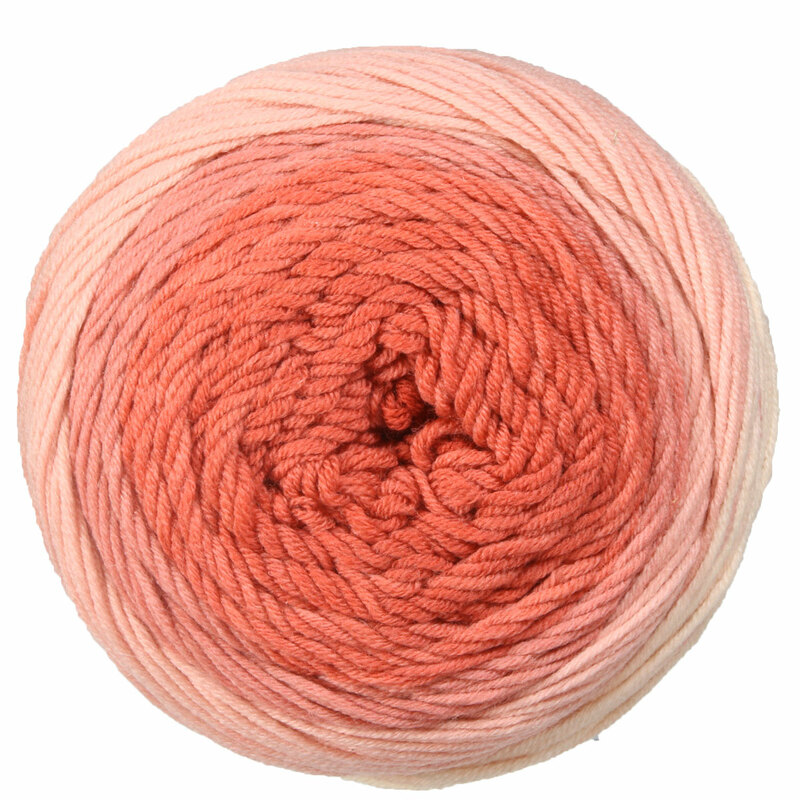 You may also like Rowan Baby Merino Silk DK Yarn, which is another similar yarn: merino wool, machine wash, dk (21-24 sts/4 in), and 5.5 sts / inch. What about yarn that have the same look and feel? 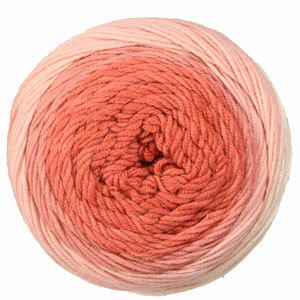 Find more yarn with a smooth / uniform texture, color change, and a medium twist. 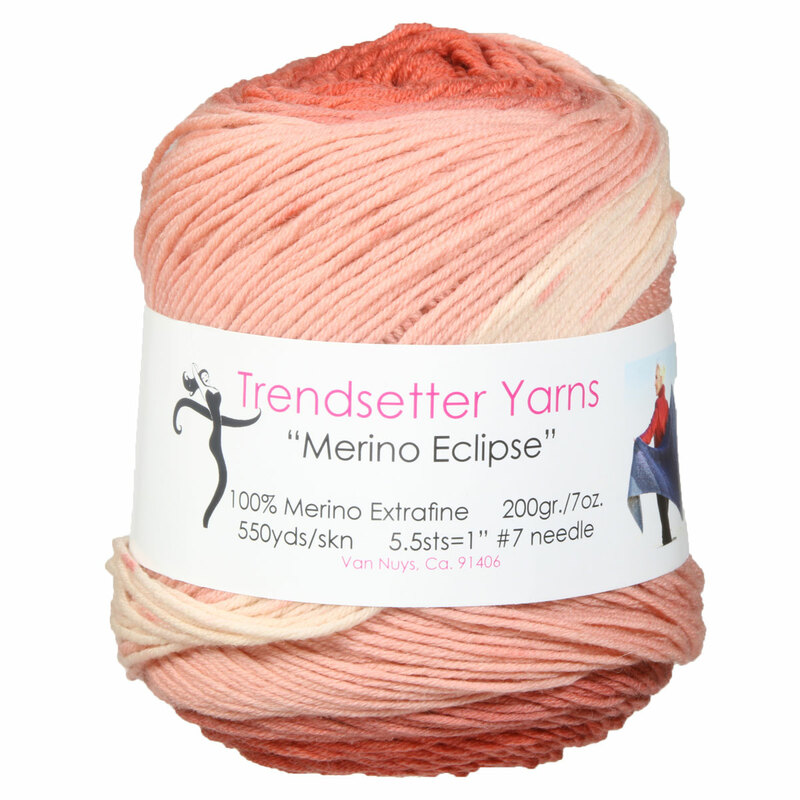 Hopefully our suggested project ideas for Trendsetter Merino Eclipse Yarn can help you come up with your next exciting new project idea!